I am a cheese gal. I love it in all shapes, sizes and will love it still even if it is a cheese product. I will never apologize for my love of cheese and try to work in into almost every meal. Sometimes though a receipe comes along that is so amazing and flavor filled it does not need cheese. What!!!?? Yes you read that right! But don't take my word for it, get in the kitchen and whip up a batch of these amazingly (cheeseless!) Sriracha Chicken Tacos right now. You can find Sriracha in almost every major grocery or box store (it’s usually with Asian spices and meal items) and a bottle will only set you back $3 or so. But trust me once you discover the wonder that is Sriracha it will be the best $3 you have ever spent. Place chicken in a bowl and toss with 1 tablespoon Sriracha. Set aside. If you added a bit too much Sriracha and your sauce is spicy, you can add a bit of mayonnaise to help cut the spice. Just add bit by bit, tasting as you go until you reach your desired spiciness. 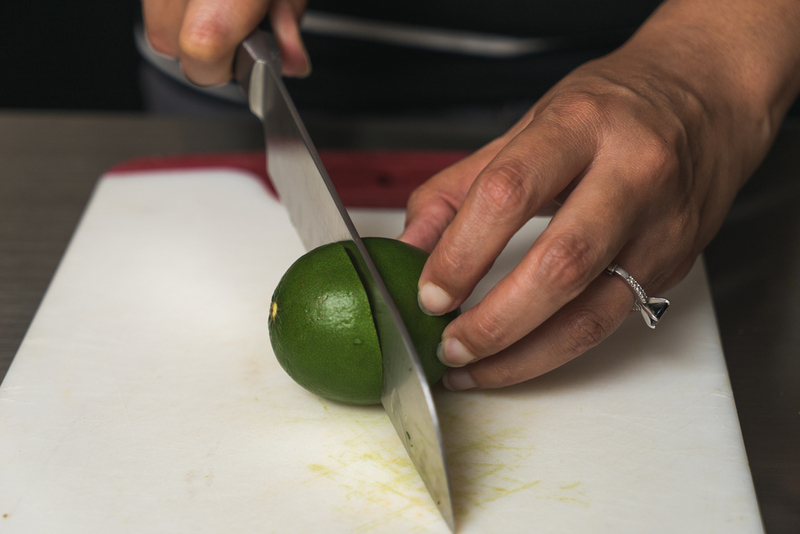 I prefer fresh squeezed lime juice for this, but in a pinch you can used bottled lime juice. Start with 1 tablespoon and add according to your preference. For the cilantro garnish, fresh is slightly better but unless you are planning on making salsa or something else that uses cilantro, it may be a bit of a waste. Feel free to use dried cilantro on this. We do this quite often in the colder months when we are not growing our own and won't use up a whole package and it is still very, very yummy!